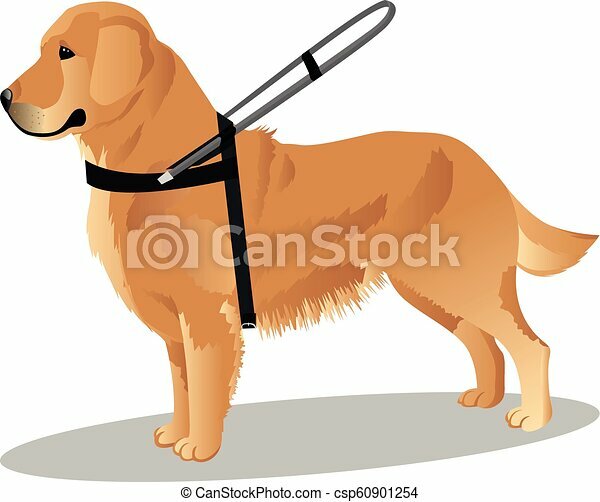 Guide dog retriever. 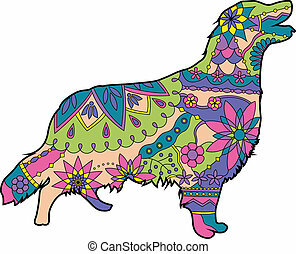 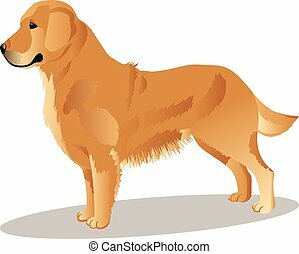 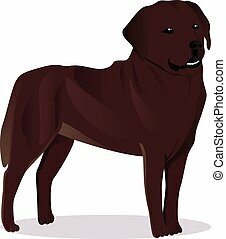 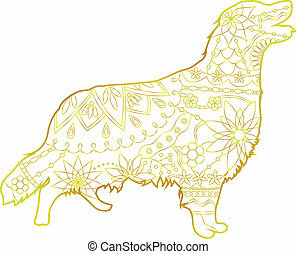 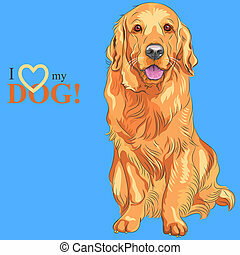 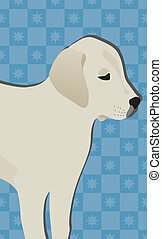 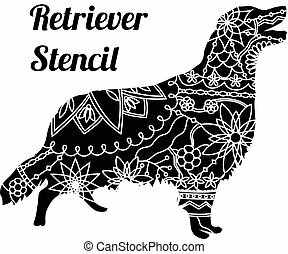 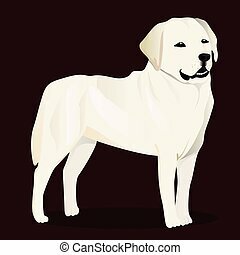 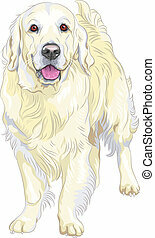 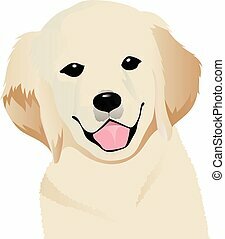 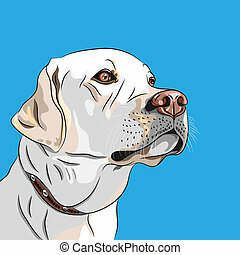 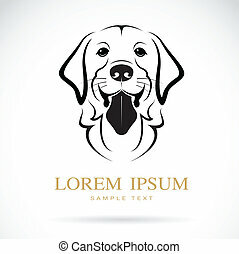 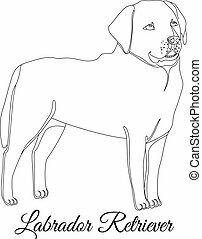 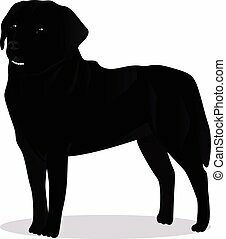 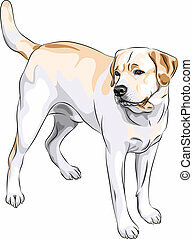 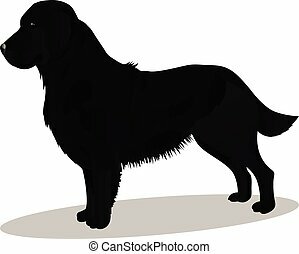 Retriever dog vector illustration. 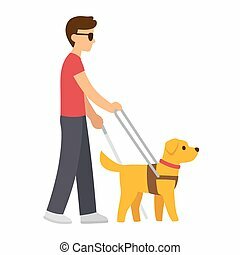 Cartoon blind man with cane and guide dog. 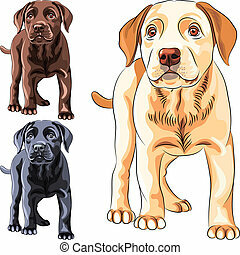 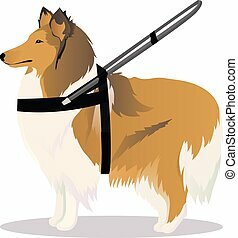 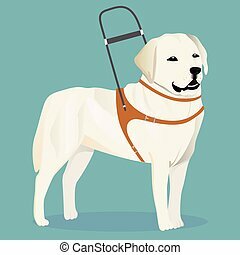 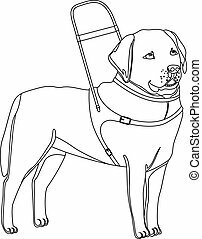 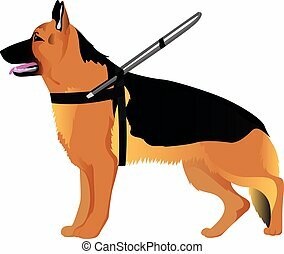 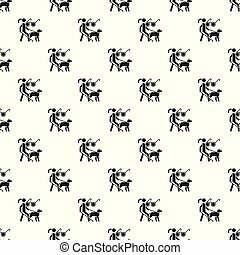 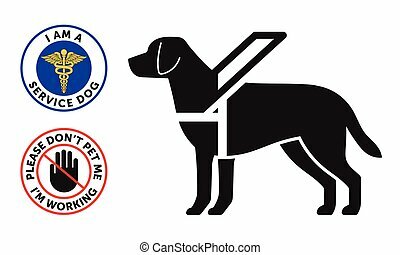 Walking with Seeing Eye dog vector illustration.